At the end of August, the whole family (parents, husband and dogs included) went on a 2 week road trip to France. 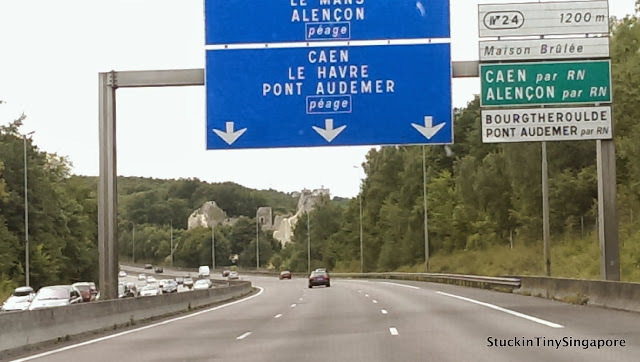 We planned a week in the Loire Valley, and a week in Brittany. It went fantastic!!! This was our second time bringing the dogs on a road trip to France. 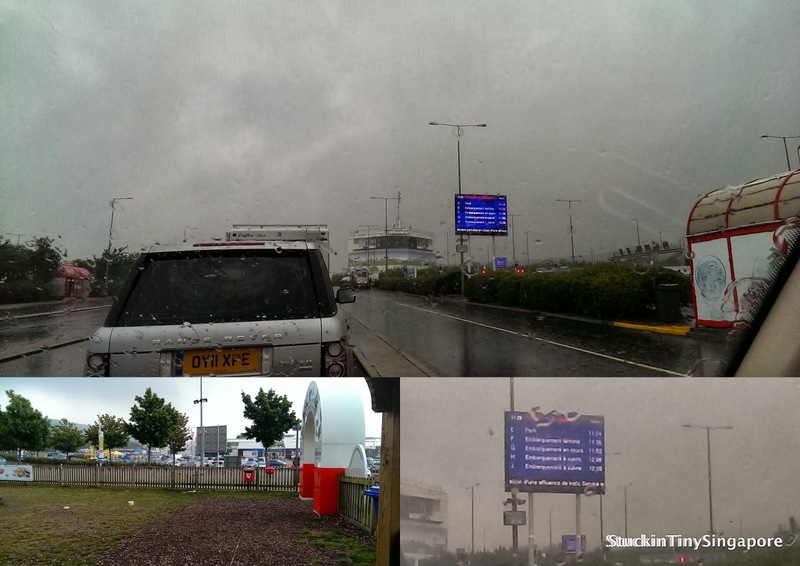 Armed with their pet passport and our 4x4 packed, we drove from home all the way down to Folkestone to catch the Eurotunnel over to Calais. Last time, we took the Ferry due to a strike on the Eurotunnel. So we were quite apprenhensive as we didn't know what to expect. All fears were blown out of the window, once we started our journey. It was raining cats and dogs on the day itself which was horrible as we got there early and had to make sure the doggies had their wee before we packed them back in the car to go on our merry way. The experience of driving into a train carriage was amazing. We had a tall 4x4, so ended up booking to go in the single deck carriage. If you have a normal car, you would go into a double deck carriage which I think is much more interesting. 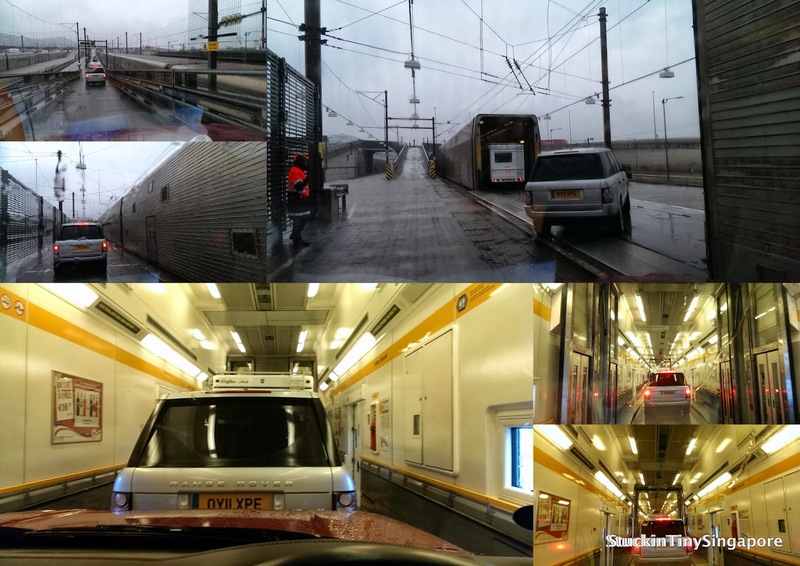 Once you are in the train carriage, the Eurotunnel staff would guide you and all loaded, they would closed down the gates between the carriages. The journey itself took 35 minutes, and the loading of all vehicles were really quick. We reached France really quickly, and the carriages reopened and you drove off into France. It was super easy and the waiting time was very reasonable. Best of all, the dogs get to stay with you in the car. Unlike taking the Ferry from Dover across to Calais, where the trip takes 1.5 hours, you have to leave your dogs in the car during the entire journey. A bit unnerving I would say, so if you are travelling with your dogs, I would definitely recommend taking the Eurotunnel. It is more costly, but the shorter journey time and for the dogs, it is the far superior choice. You pay £15 for each animal each way and it is very easy. At check in, you just have to let the attendant know that you have animals in the car, and they will give you a sticker to place on your car so that any Eurotunnel staff will know there are animals in your vehicle, and that's it. No red tape, special queues etc, very easy to take your dogs with you. On arrival, we just drive out of the train and voila! we are in France. Just bear in mind to drive on the right and you will be alright. Join me next on the Loire Valley Leg of our trip. It was a 6 hours drive from Calais to where our gite rental was in the Loire Valley, south of Loches. Stay tune.